Genetics, Diet, Daily Stress, Styling and Chemically Treating all have a huge effect. But I’m going to start with the importance of a very simple step that is overlooked far to often- shampooing and conditioning! My hair has changed enormously throughout the years! As a kid, it started out as very fine and thin, without much life. I also began highlighting at a pretty young age which also caused a lot of damage. It wasn’t until I skipped the bleach and began using hot tools less that I actually started to see some improvements. Although it grew faster and was a little stronger, I still struggled with lack of volume and over-production of oil…causing me to shampoo at least every other day. This made me search for every root lifting mouse, spray or gel I could get my hands on as an attempt to achieve more volume. But nothing really seemed to work. If anything, these products always left my hair feeling dirty and more weighed down. So frustrating!! It wasn’t until I learned more about haircare (the perks of having a hairstylist sister) that I began to understand the importance of the products I was using, i.e: shampoo and conditioner. Since I began using better, higher quality products, I have seen a huge difference in my hair in both thickness, length and just overall health. Much like your skin, your hair has a very delicate ph balance that can easily be thrown off. Because I have jumped back and forth from both colour and bleach, my hair has gone through both stages of being overly greasy to dry and damaged. SO. . . I’ll share a bit about the general cause of both stages and what can help for each. It can be very difficult to balance your hair’s natural oil. Of course, when our hair feels dirty, it’s an automatic reaction to shampoo more. However, over washing (especially with the wrong shampoo) can actually cause your hair to be stripped of it’s natural/healthy oil. This actually causes your hair to counteract and actually OVER PRODUCE oil as a result. It’s best to aim for only washing about twice a week. You’ll definitely have to go through a “greasy stage” but if you can power through, it’ll definitely be worth it. Try adding just one extra day between shampoos and you’ll start to notice a difference. It’s also very important to use a gentle, clarifying shampoo that removes the excess buildup (many contain baking soda) but make sure to then condition thoroughly with a moisturizing conditioner and don’t skip the roots!! A good conditioner will never make your hair greasy, so make sure to massage into the scalp and then apply a light styling oil. This will help to replace and rebalance the healthy oils. The more I condition and treat with oils, the less greasy my hair has become! There can be many forms of dry and damaged hair. Some naturally have course, dry hair and others, it’s brittle from over processing or improper use of hot tools. Either way it’s very important to understand what damaged condition your hair is in, so you can determine what kind of treatment will suit you best. It can be a big process to rebuild and heal your hair back to a healthy state. Those who have dry, brittle or rough hair often need to rehydrate and replenish the lost moisture. Using rich oils, aloe or hydration masks are all great options. Those who have chemically treated hair, often mushy with a cotton candy-like feelneed to treat with protein. At this stage, professional treatments are a good idea but they can also be done at home with protein or keratin masks. 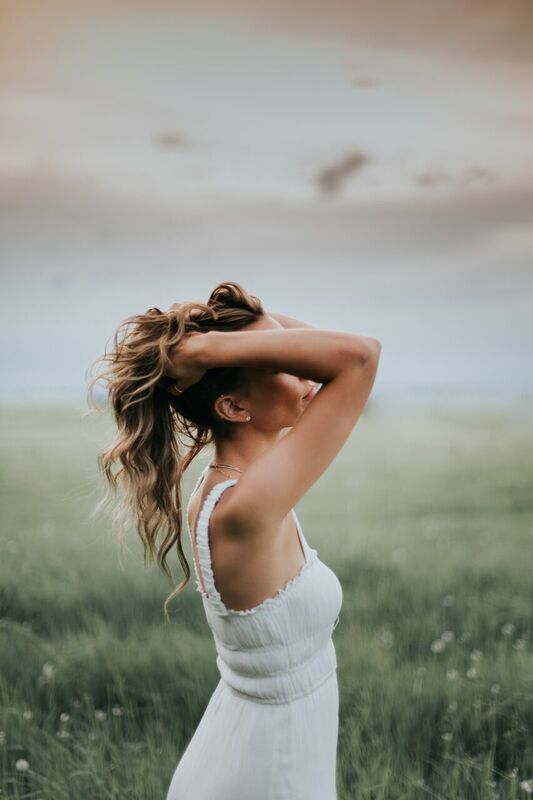 In any case, the best way to have long-lasting results for both stages, is by treating regularly and consistently with a repair shampoo and conditioner. This will help to consistently rebuild the hair from the inside out. This is the motto for the ColorProof label. I have always been very determined to find good, natural products for my skin but it is an even bigger challenge when it comes to hair products. We all want what’s healthy but don’t want to sacrifice what works. Luckily ColorProof does both! Every product is completely . . . 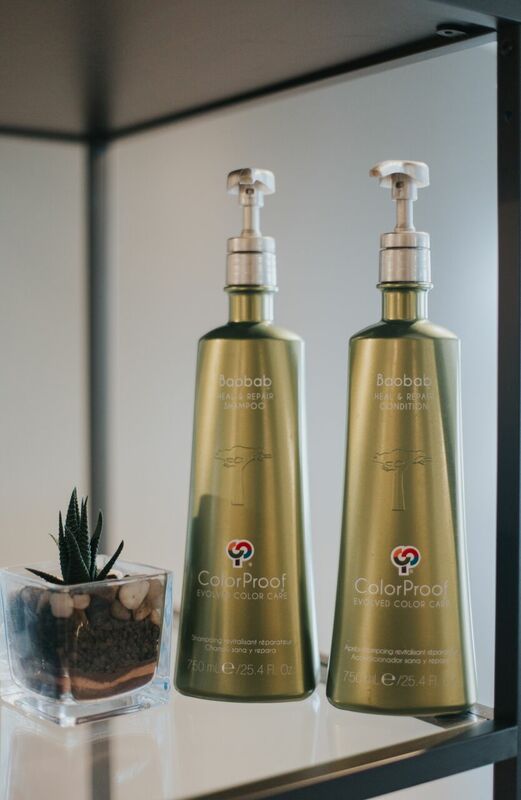 I started using the ColorProof line several years ago and found it really worked well for my hair. However, it wasn’t until I tried the Baobab Heal & Repair formula that I noticed huge results. This shampoo and conditioner has dramatically changed my hair and I don’t think I could ever use a different brand again! As I mentioned above, I have struggled with both flat, oily and lifeless hair to dry and damaged hair with lots of breakage. I have always used lots of heat and styling products on top of many oil treatments and masks. If you have ever coated your hair in coconut/olive oil (which I highly recommend) then you probably know how challenging it can be to wash out. It wouldn’t matter what shampoo I used after a treatment, I typically had to shampoo at least twice just to simply wash the oil residue out! As a result, this also washes out many nutrients that you want to absorb into the hair. Although, NOW I can say…very honestly, that this has never been an issue with Baobab, which was literally one of the biggest selling features for me. You get a great lather the first wash! It’s key ingredient comes from Africa’s “Tree of Life,” the Baobab super fruit, which adds it’s own unique and exquisite hydrating properties. And it’s also loaded with a “Protien Power Complex” that is a blend of vegan proteins derived from potatoes and soy that strengthen and repair the hair. It also has a powerful blend of anti-aging, botanical ingredients that naturally condition, nourish and protect, ultimately restoring elasticity and shine. Oh, AND the entire ColorProof line is designed for ultimate colour protection to prevent premature fading. Literally everything you could want! I love Baobab and how it has made my hair look and feel. From a simple shampoo and conditioner, I have found my hair rarely gets greasy and it’s much stronger which helps in gaining length and volume. I’m so amazed with this product and really hope that it works for any others looking for the same results!